KABUL, 19 OCTOBER 2011 â€“ The Joint Coordination and Monitoring Board (JCMB) met today and unanimously endorsed seven National Priority Programmes (NPPs) presented by the Government of Afghanistan. This was the first time that the JCMB has met since November 2010. The programmes endorsed focus primarily on socio-economic development, but also include a programme dedicated to monitoring and improving human rights situation of all Afghans. â€œThis meeting represents a key step forward in the re-invigoration of the â€˜Kabul Processâ€™. I am very pleased that the Government and the donors have agreed to reconvene this Board ahead of the Bonn conference in early December,â€ said Staffan de Mistura, United Nations Special Representative of the Secretary-General for Afghanistan. The â€˜Kabul Processâ€™ had lost momentum in the wake of the Kabul Bank failure. The recent decision by Parliament which approved a supplemental budget request by the Ministry of Finance to provide capital to the Central Bank has opened the door to fresh engagement with donors and has added momentum towards reaching an agreement on an International Monetary Fund (IMF) programme. This process is intended to promote mutual accountability and partnership between the Government of Afghanistan and the international community around the national development strategy and its 22 National Priority Programmes. 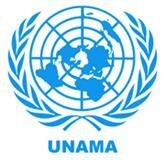 â€œThe willingness of donors to invest in our national programmes is essential to the people of Afghanistan. Ultimately, sustainability demands that all programming in Afghanistan is designed and implemented with the government as a full partner,â€ said Finance Minister Zakhilwal. 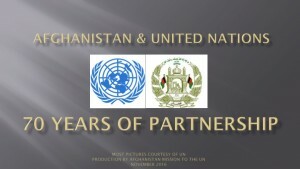 â€¢ The Afghan Government and the international community agreed to establish a Joint Coordination and Monitoring Board (JCMB) for overall strategic coordination of the implementation of the Afghanistan Compact at the London Conference (January 2006) and the following United Nations Security Council Resolution No.1659. â€¢ In June 2010 President Karzai and United Nations Secretary-General Ban Ki-moon co-chaired the Kabul Conference which marked a new phase in the partnership between the Government of Afghanistan and the international community. 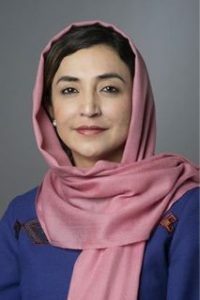 The Kabul Conference endorsed in principle 22 National Priority Programmes and furthered the â€˜Kabul Processâ€™ indicating a heightened commitment to a secure, prosperous and democratic Afghanistan.